The Compatible Everpure 312E Kit includes one (1) CC1E replacement cartridge and two (2) CC3E replacement cartridges. The CC1E cartridge will improve the taste and consistency of your beverages and ice by reducing chloramine, chlorine and other off-tastes and odors. 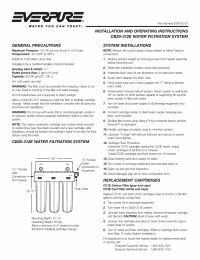 Also for high flow, high volume foodservice applications requiring chloramine reduction. 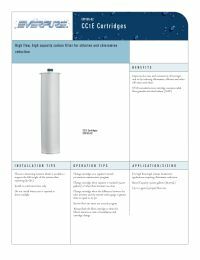 The CC3E makes an excellent polishing filter or pre-filter in applications requiring fine filtration and high capacity. 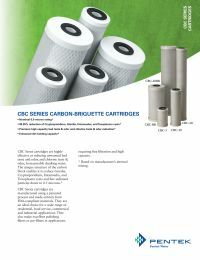 The carbon block reduces cysts and fine sediment particles down to 0.5 microns.